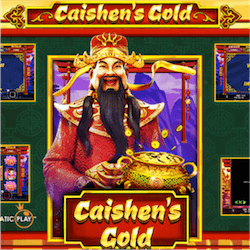 Taking its inspirational and main character from Chinese traditions, Caishens Gold is a new pokie from Pragmatic Play. This pokie delivers on all fronts, providing great visuals and sound, combined with great bonuses including a progressive styled, static jackpot bonus. Caishen is the Chinese God of wealth and prosperity, worshipped in traditional Chinese folk religions and Taoist practitioners. In fact even to this day people revere Caishen with a statue built in his honour as recently as the 2000s in Shaanxi. 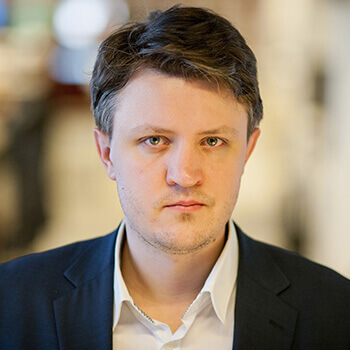 Head of Business Development at Pragmatic Play, Yossi Barzley, stated that Pragmatic Play always prides itself on bringing something fresh to market for their pokie fans. Caishen’s Gold is no exception to these values. Pragmatic Play has had a great release run this year, having released two new pokies each month already. Their last release, Pixie Wings, was well met by fans and operators. All indications are that Caishen’s Gold will bring the company the same success as many of their previous pokies. Caishen’s Gold may not have the bombastic visual effects or 3D Graphics that almost every major developer is including in their titles recently. Instead, the pokie and the company itself has always approached casino gaming from a fun-first perspective. Every great pokie in the past has found success through a combination of elements that meld and deliver an engaging and rewarding experience. Pragmatic Play’s games seem to have those elements in abundance, as Caishen’s Gold is one of the most enthralling pokies released recently. The included static jackpot just makes the pokies even more attractive to players. Caishen’s Gold includes a scatter bonus for its players, as well as a free spins game and of course the aforementioned static jackpot bonus. To make this pokie even more rewarding, Pragmatic play has included their 243 ways-to-pay system that allows for combinations to be formed by adjacent matched symbols on the reels. The free spins on offer are a maximum of 10, but during the Free Spins, only the highest value standard symbols and wilds will appear on the reels, making this section very rewarding potentially. The static jackpot in this game is divided into 3 potential bonuses. You can receive the Grand, Major or Minor bonus, along with a Mini bonus. This jackpot can be won by randomly triggering the pick-me bonus game and choosing the correct coins. While not reinventing the wheel, Caishen’s Gold still delivers on all fronts with an appealing aesthetic draped over rewarding play.